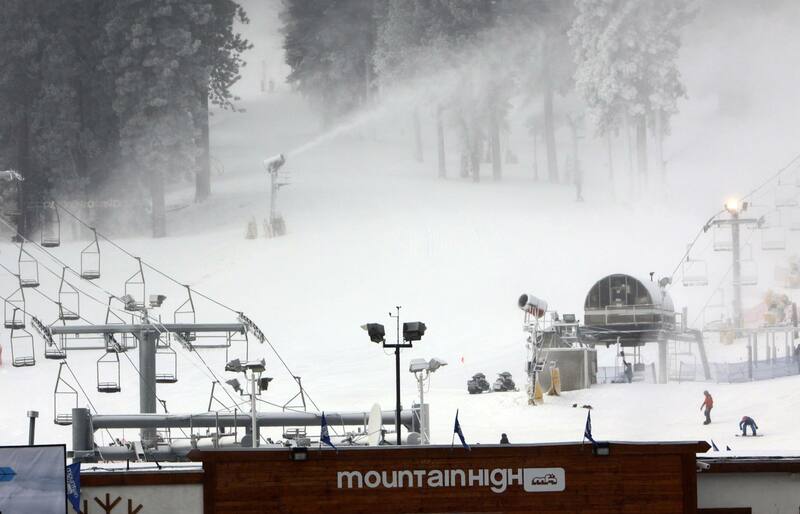 Wrightwood, CA – More than 7,500 guests visited Mountain High during the Thanksgiving holiday weekend, the Southern California ski and snowboard resort’s largest attendance since 2010-11. 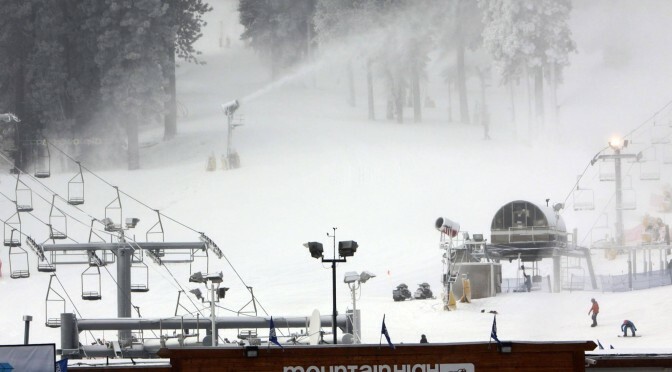 To date, winter attendance is up 78 percent over this time last year. 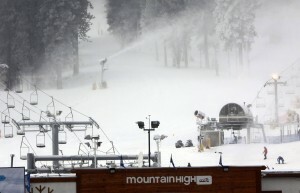 Mountain High opened its current season on November 6. Mother Nature has provided help in the form of cold temperatures, ideal for extensive snowmaking, and dropping fresh powder on the slopes. Eight trails and many terrain features are open for skiers and snowboarders to enjoy. All resort amenities are available including lessons, rentals and retail. Night skiing is taking place from 5 p.m. to 10 p.m. on weekends until December 11, when it opens nightly for the season. The Bullwheel Grill is currently open weekends from 4 p.m. to 10 p.m. until it expands to daily operation starting December 18. Early season ticket rates are $59 for adults, $30 for evenings (5-10 p.m.) and $25 for children age 12-and-under. Kids age six and under ski free when accompanied by a paying adult.